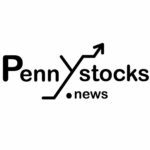 Vancouver, BC — October 18, 2018 — InvestorsHub NewsWire — MGX Minerals Inc. (“MGX” or the “Company”) (CSE: XMG / OTCQB: MGXMF / FSE: 1MG) is pleased to report that engineering partner PurLucid Treatment Solutions (“PurLucid”) has delivered the first petrolithium and advanced wastewater treatment system to a centralized treatment and processing facility north of Edmonton and proximate to the Alberta oilsands. The commercial-scale 750 barrel per day (bpd) system is currently in final phase electrical connection and will be in operation shortly. MGX and PurLucid expect to begin processing concentrated evaporator blowdown wastewater under an existing agreement with an oilsands SAGD operator in early November and additional wastewater containing lithium from a second oilsands SAGD operator shortly thereafter. Previous article– $POTN PotNetwork Holdings, Inc. announced third quarter revenues totaling $6.1 Million representing a 37% increase over the same period last year.